"Raiding baboons are a real challenge in the Cape Peninsula, South Africa. The baboons enter properties to raid in gardens and bins, but also enter homes and sometimes take food directly from people", said Professor Justin O'Riain, Director of the Institute for Communities and Wildlife in Africa at the University of Cape Town, and co-author on the study published by Scientific Reports. 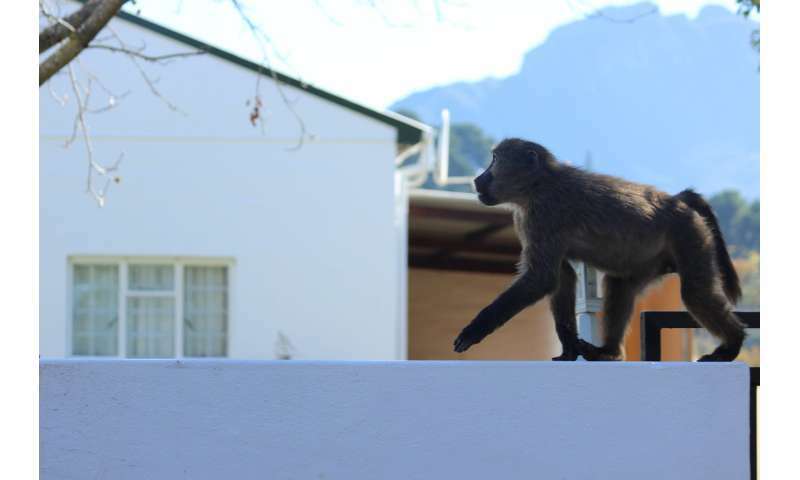 In a previous study, the team showed that whilst Cape Town's baboon management strategy was keeping baboons away from the urban space, some males were still finding ways in. The team therefore built bespoke baboon tracking collars allowing them track the movements and activity levels of 10 males via GPS and accelerometer sensors. 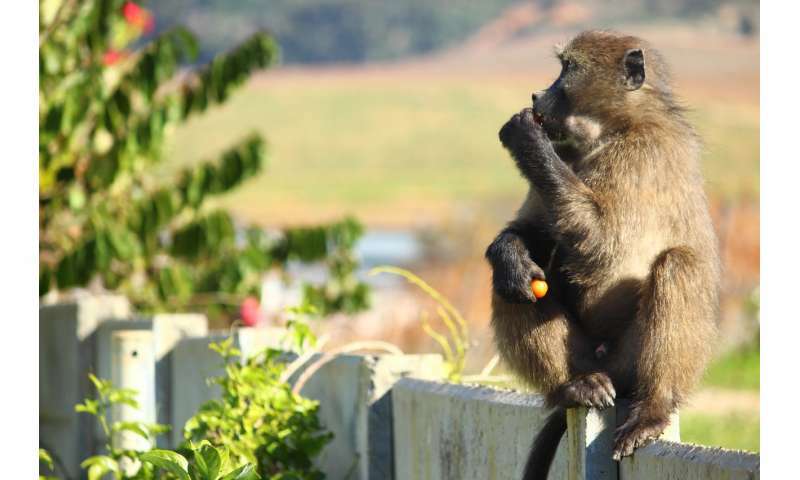 Dr Gaëlle Fehlmann, lead author of the study, said: "People assume the baboons don't have enough food in their natural habitats and therefore have no choice but to forage in town. In fact, our research shows there is plenty of food in the natural environment where there is very little risk of the baboons being disturbed by anyone. In contrast, the chances of human-baboon conflicts in urban areas are high, but so are the food rewards, which are 10 times richer in terms of calories". Dr Andrew King, head of Swansea University's SHOALgroup and senior author of the study, added: "We suspected the baboons were doing something clever to allow them to minimise the risks associated with urban foraging, and the data collected from the collars confirmed this". Dr Fehlmann added: "Our results present unequivocal evidence of extreme behavioural flexibility in these baboons. Behavioural flexibility has long been considered a central component of a species ability to cope with human-induced environmental changes, but has been difficult or impossible to quantify in wild animal populations. The new tracking technologies employed by the researchers are changing this". Now that researchers have uncovered the raiding tactics of these canny baboons, strategies will be refined to further improve Cape Town's already successful baboon management programme.